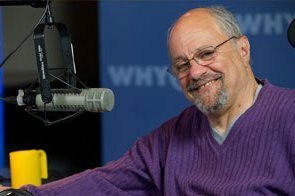 Psychologist Dan Gottlieb has been a staple of Philadelphia's airwaves for more than three decades, providing listeners with insights on relationships, feelings, behaviors and, above all, love. On Wednesday, Gottlieb announced that he won't be renewing his contract with WHYY, Philly's NPR affiliate, when it’s up in July. Since 2016, Gottlieb has scaled back his programming duties, going from his weekly program, "Voices in the Family," to doing six specials a year. Despite the lightened responsibilities, Gottlieb, 71, said "it’s the right time for me." In a letter to WHYY's staff, which he shared on his personal website, Gottlieb recalled his journey into radio, and how he was scared to share with his listeners that he has a learning disability and is a quadriplegic, fearing they wouldn't want to listen to him if they knew. But when he opened up about his learning disability, the response was "overwhelmingly positive." During a show with singer and Philly native Teddy Pendergrass, who had also become a quadriplegic after a car accident, Gottlieb decided to reveal that he’s paralyzed as well. "I could almost feel the audience support, gratitude and compassion. For the first time since my accident, I felt safe to go out in the community by myself because I just trusted someone would be there for me if I needed help," Gottlieb wrote. Gottlieb said that the more he's opened up over the years — about his depression, insecurities, happiness — the more listeners responded. "Since that time, I have been teaching about the relationship between vulnerability and love," Gottlieb wrote. "That we can’t experience love if we pretend to be stronger than we really are. You will see these themes in every one of my books because my wish is to make it easier for people to love and be loved." Gottlieb said he'll miss his audience and WHYY colleagues.